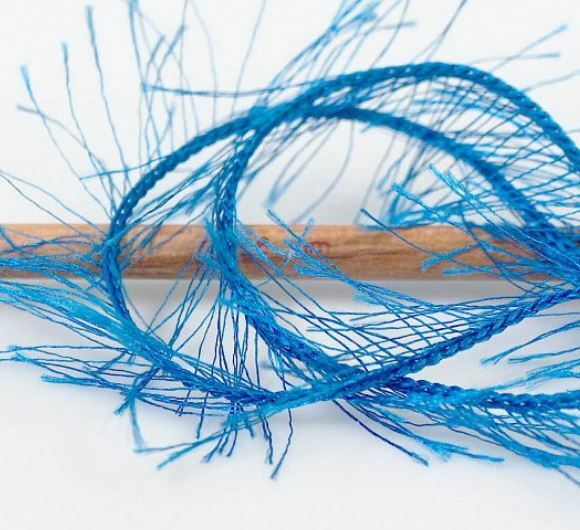 Eyelash yarn, and in fact any form of Novelty yarn, divides knitters into two distinct camps. Those who love it and inevitably those who hate it. First of all, what is it? It is usually a man-made fibre central thread with varying amount of fine thread sticking out of it. 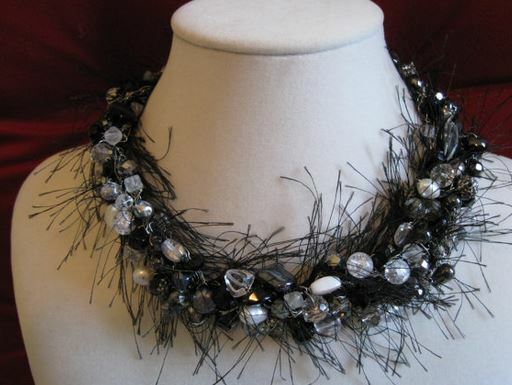 This can be mixed with sparkly polyester, paper, pompoms and can be long, short or anything in between. Recently I have also seen more luxury fibres being used to make this yarn. It is the fine thread that gives the yarn the semblance of eyelash. The texture is usually very soft – think of pet rabbits. If you already have some in your stash, perhaps it’s been there for a while and you may be wondering what possessed you to get some in the first place. Well, it’s time for a spring clean! So what can you use them for? Let’s start with the simple. I think this one is perfect. I love the texture that eyelash creates. It is a little difficult to carry it off as an item of clothing but I’ve been working on the right design. Has your interest been piqued yet? Pattern coming next week on the blog. Whilst battling the latest lurgy brought around by trains/boys/general life, I’m feeling lacking in all creative energy for writing. So in case you haven’t seen this, here it is again. If you have read this a while back, apologies. Wishing you the best week! I try to keep my private life and my on-line life a little segregated. Perhaps it’s age related reticence, perhaps I’m afraid of revealing too much and how people may react. However when the lovely Mrs Bishop suggested that I participate in her idea “Happiness is 100 things”, I thought it was too good an idea to pass up. This will not be a blog about knitting or crochet, much more about life and what makes me tick. Just so you know in advance. I’ve not ordered this list, just wrote it all as it popped into my mind. Lucy – you’re right. I could have gone on for an other hundred. There is so much to look forward to in each day. 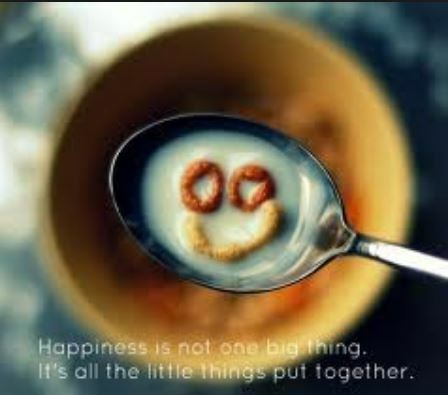 We should never forget to see the nuggets of happiness even in the darkest day. Thank you for suggesting this. Please join in if you feel like it – just link back so we can all share. Many thanks for reading. 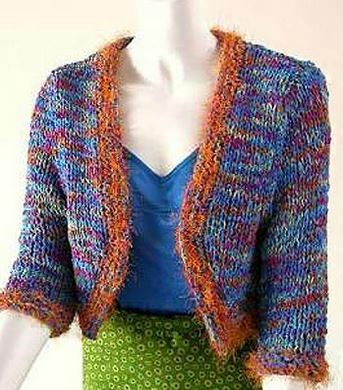 Since I’ve been bitten by the Tunisian crochet bug, I’ve been scouring the web for good patterns. I’m not quite ready for striking out on my own with anything more complex than a scarf. 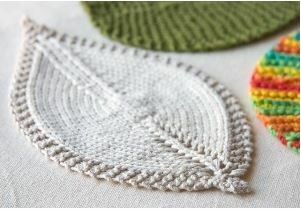 I know that it is possible to Tunisian crochet any existing crochet pattern with a bit of thought, but I wanted to find patterns specifically written for this method. Here is my short-list. To my shame I can’t pronounce Aoibhe’s name but she also has some truly stunning Tunisian crochet shawls on her website that are well beyond the run of the mill. M A K E M E ! One of my promises for 2015 to myself was to try Tunisian crochet. 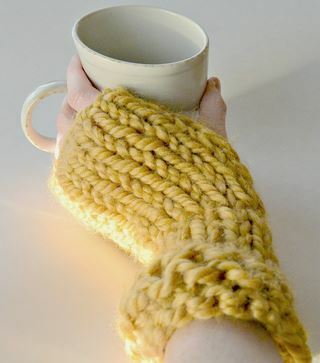 The blending of crochet and knitting has been intriguing me for a while. And the opportunity of buying more kit was just too tempting. And of course the crochet hooks had to be tried as soon as they arrived. 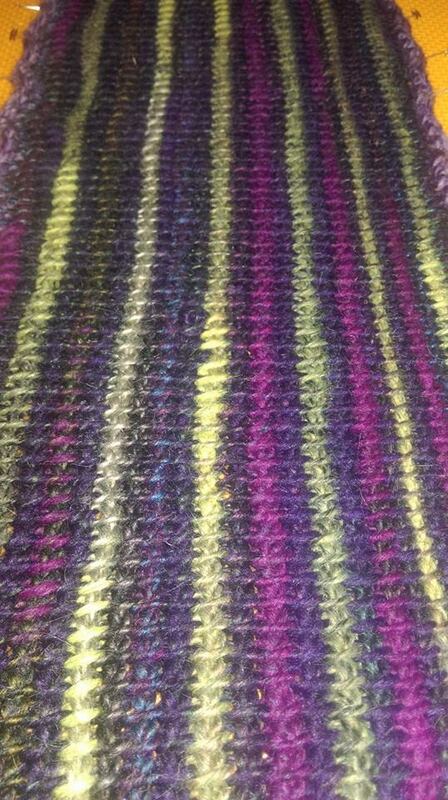 I decided that I would make a lengthways constructed colour stripe scarf. 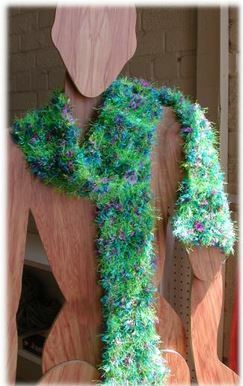 I’ve been eyeing those up for a while as I loved the idea of the colours running up the scarf length rather than across it. Also by having so many of the same stitches to make in one go, it was the perfect way to practice a new stitch. 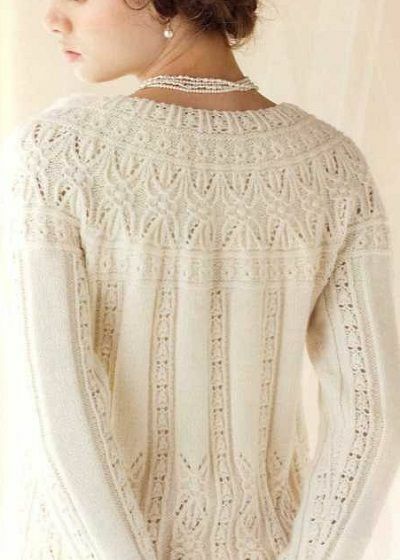 On the other hand the idea of knitting something like this by hand is really quite daunting. 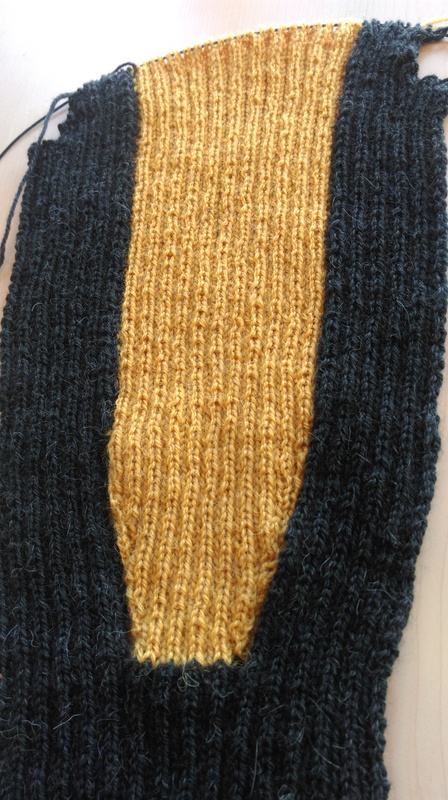 I used two 50g skeins of Colour A (total of 200m), and one 50g skein of Colour A and the yellow skein (100m each). I also used some of the lavender skein but you can substitute with one of the other colours too but add this in to the calculation, you will need more yarn. Using the edging colour (lavender) I chained a lot. I didn’t count how many as for this scarf it’s more important that you have the length that you want – mine is around 180cms long. That is a LOT of chains. 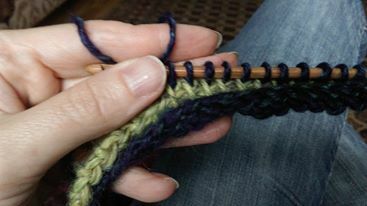 I then used Colour A to crochet the foundation row and the simple stitch row. I was amazed that the foundation row is sort of like knitting a stitch and the simple stitch row is just like crocheting. So different parts of my brain were working at different rows. Neat! I changed to the yellow colour next to provide a strong contrast and bring out the beautiful colour changes in Colour A – not that it is obvious in this photo! On to the second foundation row! The order for crocheting after that was Colour A, Colour B, Colour A, yellow and repeat from the beginning. 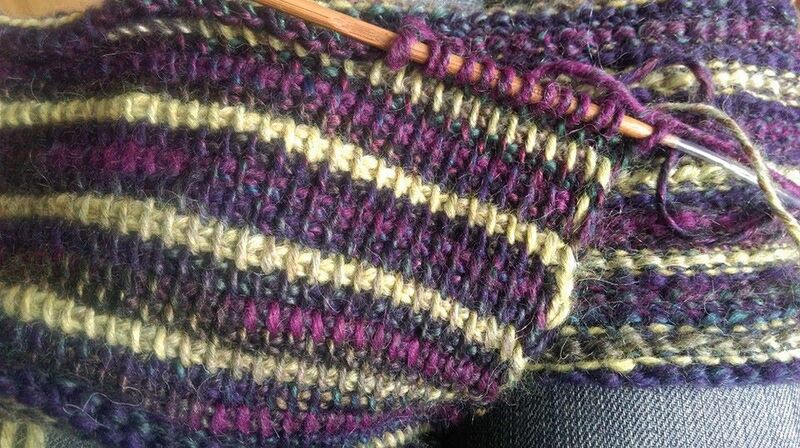 In effect you are using twice as many of the Colour A yarn that of the yellow and the Colour B one. 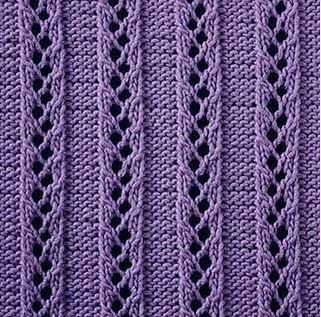 When I had the width I wanted – 26 foundation rows and simple stitch rows in total – I used the lilac colour again to edge in DC into the vertical bars. It seems that Tunisian crochet curls. A lot. 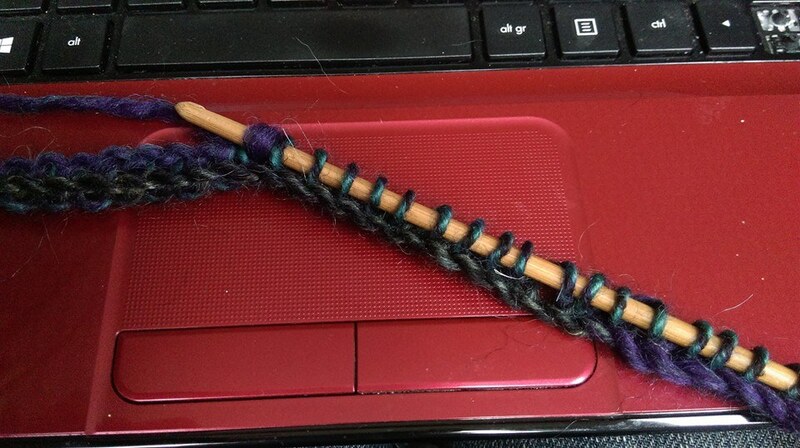 In fact, two rows in, I sized up on the crochet hook from 5mm to 5.5mm to help a bit. Whilst I was crocheting, the scarf was just a furled up piece of material. So now I’m blocking it and hoping for the best. 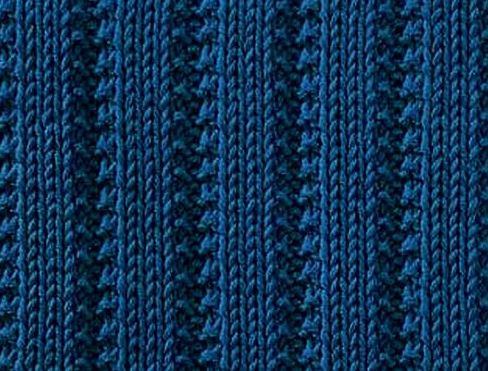 The scarf has a really nice woven texture to it and is quite dense. 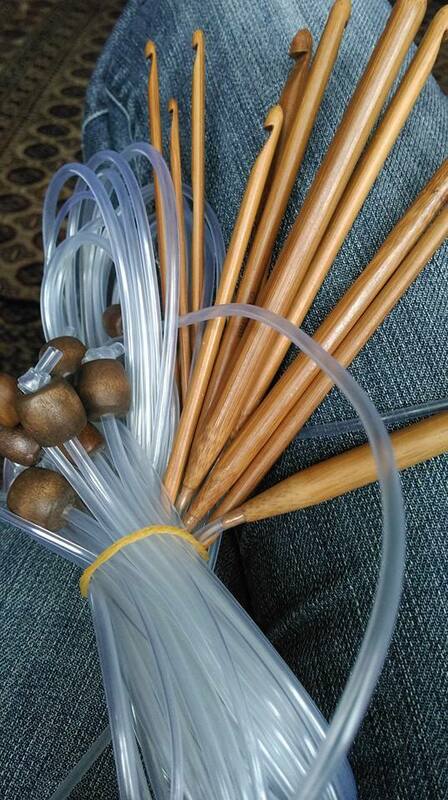 Much thicker than knitting and without the holes of crochet. I’m seriously impressed by this technique. After the inspirational knitting blog entry, I needed to lie down in a dark room with a wet cloth on my head! So as a direct result, I’ve gone ahead and collected some truly beautiful and simple knitting patterns, which are perfect for those new to the art, those wanting a satisfying knit and perhaps those who just want to knit without having to watch what they’re doing. I’ve chosen patterns which are slightly different from the standard scarf/hat combo that most beginners knit. 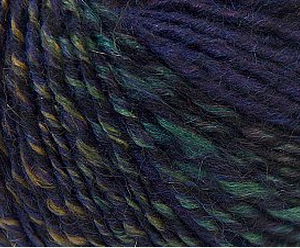 The skill – pick a really lovely yarn in your favourite colour. Perhaps even a nice chunky yarn. 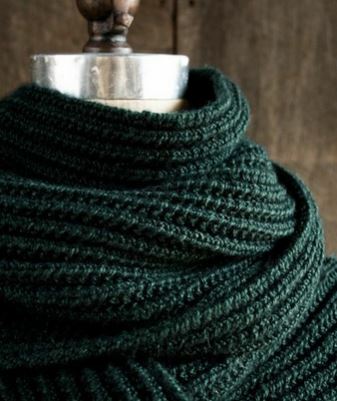 Whatever you knit will automatically look fantastic. Which is your favourite? 1. 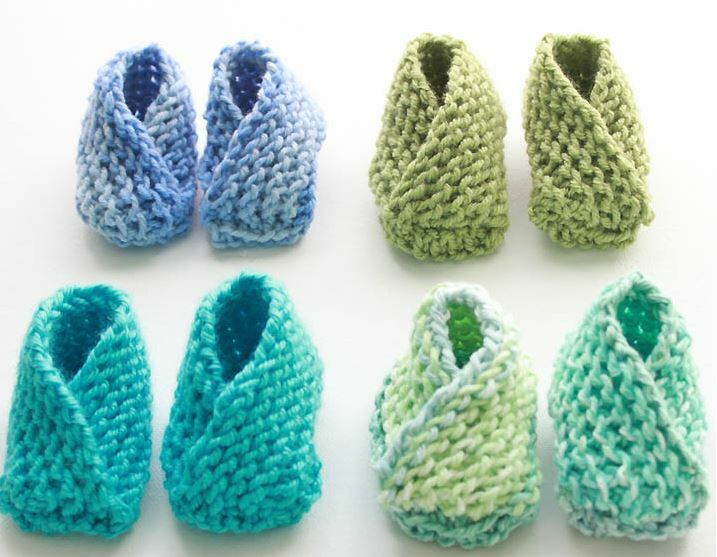 Easiest Baby Booties by Gina Michele. Even better than knitting for yourself! 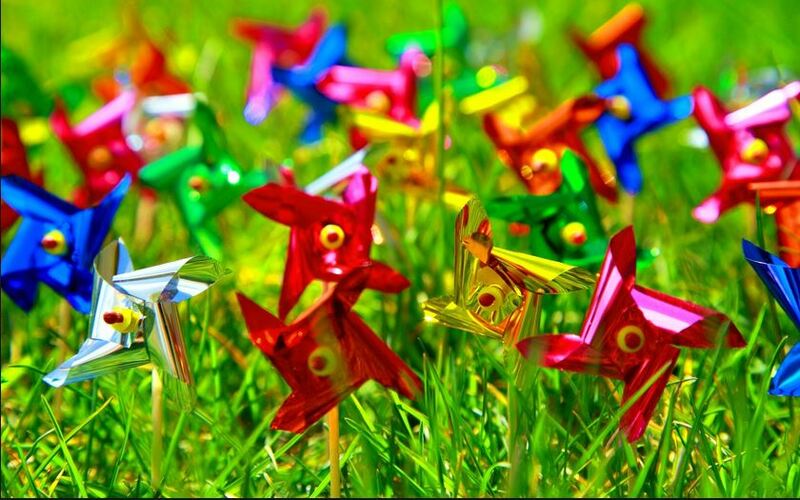 Make a set of these in different colours! I love these colourful bibs and you can embroider on them too. So pretty, even as a decoration only. I’ve not settled to any of my knitting projects – there is just too much going on right now for me to be able to finish items. It’s more of a starting type of time in the year. The sudden burning burst of inspiration quickly fizzles and turns to something else. I’ve decided to give in to it, but also try to limit the numbers of WIPs. In the meanwhile, I’ve been looking at others’ creations. 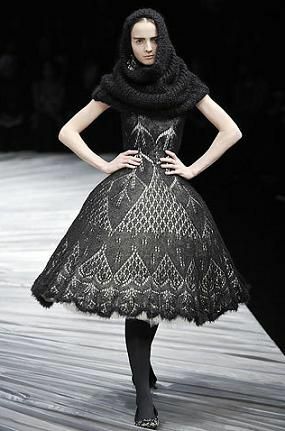 I’m not one for high fashion as the price tag and the design tend not to suit my lifestyle. However, every now and then I see things that make me gawp in awe. The sheer hours of creation, the energy of putting the ideas into practice. Just wonderful. So for lack of anything to show you which is mine, here are a few things that have amazed me recently. I hope you enjoy them. 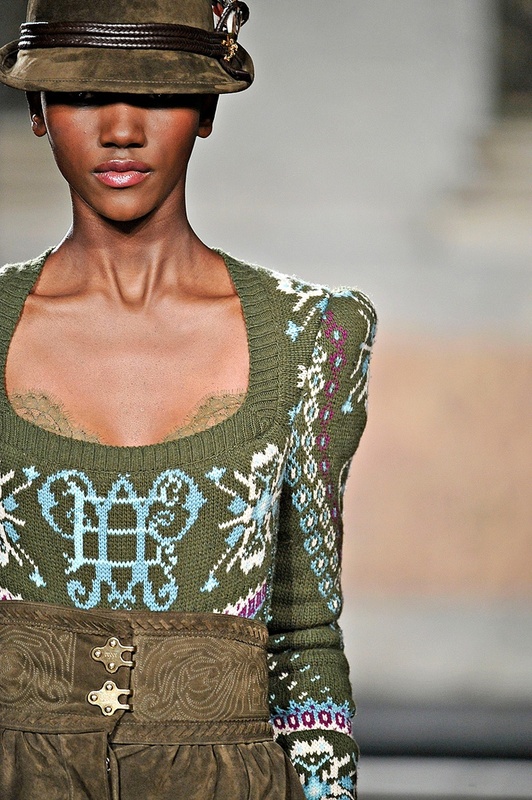 Emilio Pucci’s take on drindl. I’m there! When I’m looking for the inspiration for my next project and it needs to be a pattern, the majority of the time I find something on the web. There isn’t a local yarn shop that stocks the type of yarn and patterns I like, so it’s publications or the web for me. There are many, many websites with free patterns and most of the yarn suppliers (Rowan, Austermann, Katia, Bergere de France, Red Heart, Thomas B Ramsden, Lion Brand etc. ) 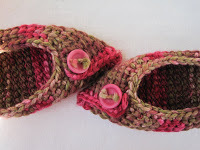 also have free patterns on their website, so it is worthwhile to look around. 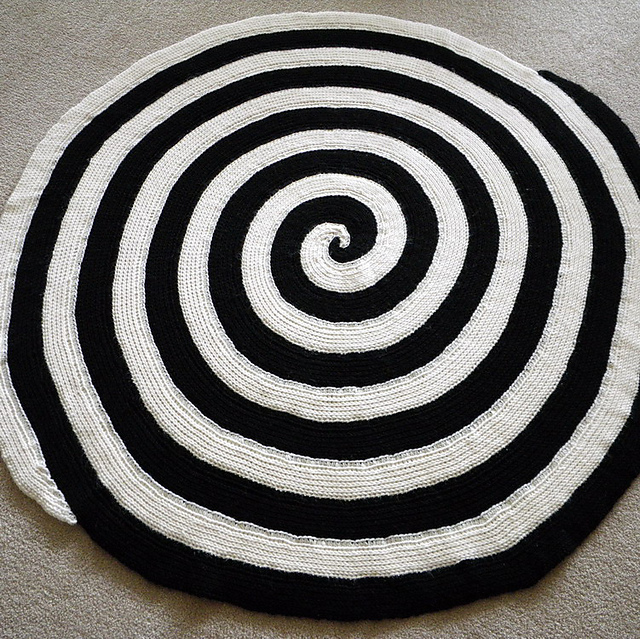 Big name designers similarly entice you with free patterns from time to time. Another good resource is the blogosphere. 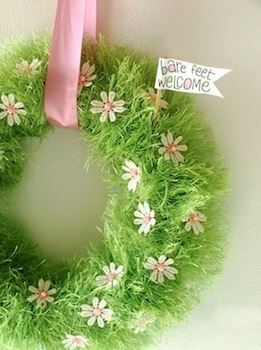 We all follow talented crafters who make the most gorgeous things. Many of them give away their patterns or sell them at a small price. 1. 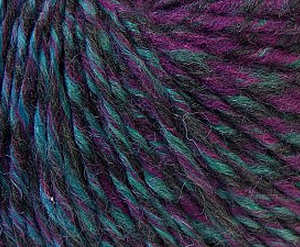 Ravelry – if you haven’t already found it, take a look. 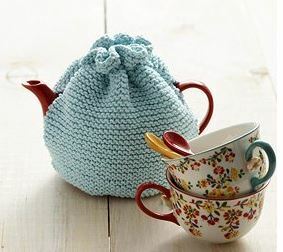 It’s free to join and contains a wealth of information from knitters and crocheters around the world. 2. 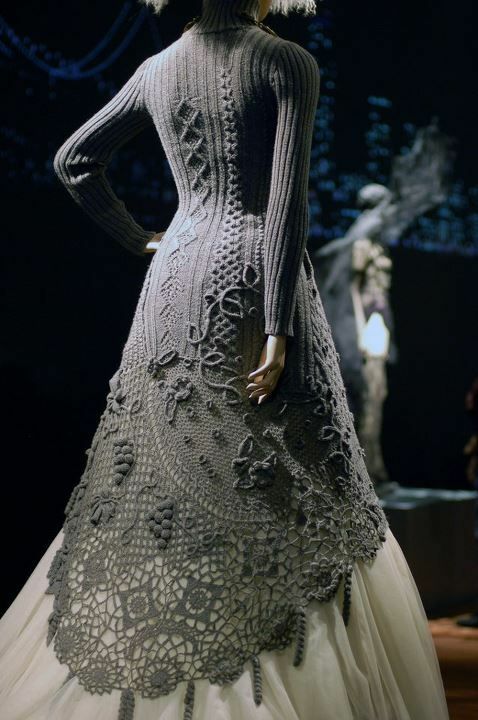 Vogue Knitting – elegant, gorgeous eye candy. Lots to look at and covers a huge range of items as well as fashions. 3. 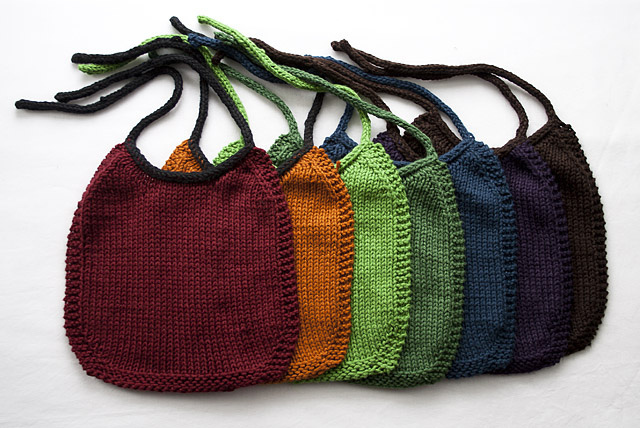 Berroco – I know that they sell yarn too but I really like their designs. 4. Drops – ditto. I have been known to forget the time whilst browsing. 5. 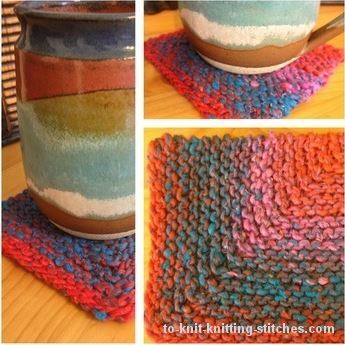 Knitty – It’s an other alternate knitty resource. Where do you go to get your patterns? The Front. Or is it the Back? 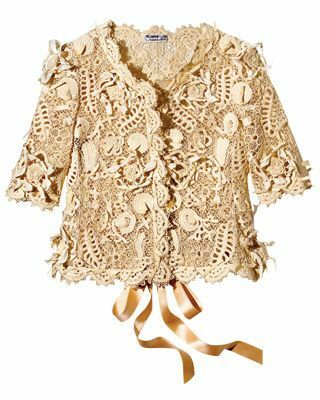 It will be reversible with a simple slash neck. I was thinking to reverse the colours on the other side – yellow on brown instead of brown on yellow. 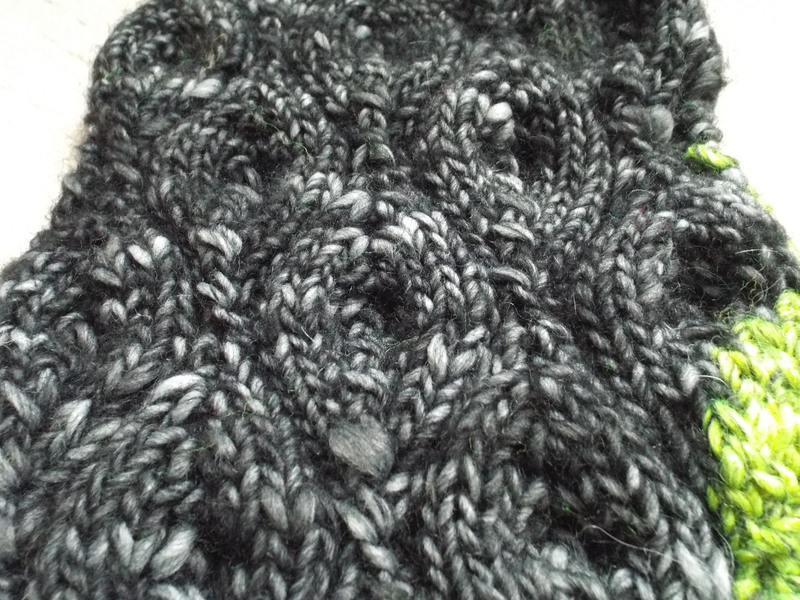 As you can see though, it is, even for ribbed knitting, rather narrow. So I want to introduce a band of tomato red on each side which will link the back and the front (as you probably know by now, I’m not shy and retiring when using colours). 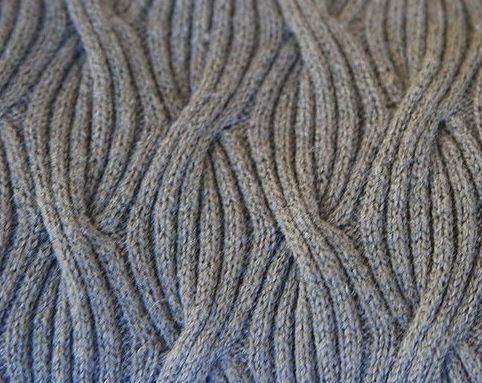 But I wanted to use a different sort of rib stitch – perhaps something a little lacier than just solid ribbing. This sent me scurrying to the web to do some research. I came up with a treasure trove of information and I certainly know what I don’t want. 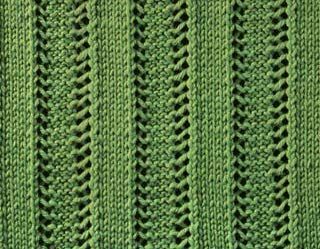 But I am totally overawed by the impact of some of the ribbing stitches – and they are so simple to do! Why don’t we use them more often? Just look at these beauties. Of course, my problem now is which one to use. I want to introduce a stripe in the sleeves too – in which case the pattern has to be quite narrow. Perhaps I need to go back to the drawing board. In case you’re wondering, the majority of the stitches I found on craftcookie.com. and a friend who needs a scarf, united in this. I hope you agree – it is a close match! I also used some other night sky colours. 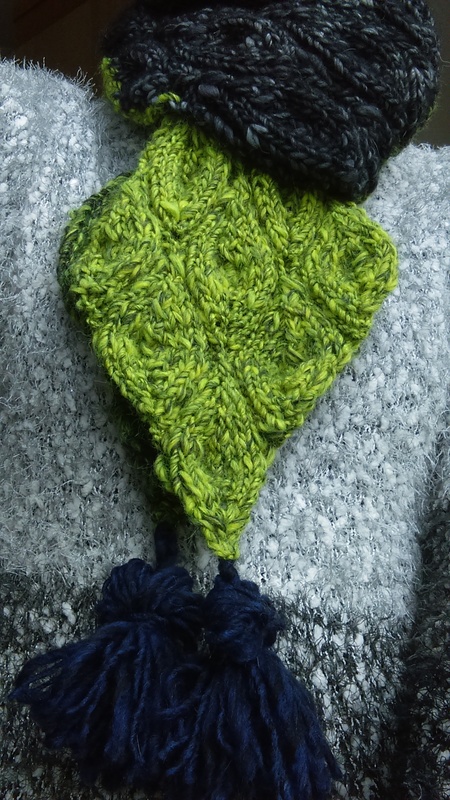 I adapted the candlelight pattern and used an aran weight alpaca mix yarn – you can either use one colour, variegated yarn or like me go bold and use different colours for a striped effect. I used five 50g skeins to create a long 20 cms by 185 cms skinny scarf. 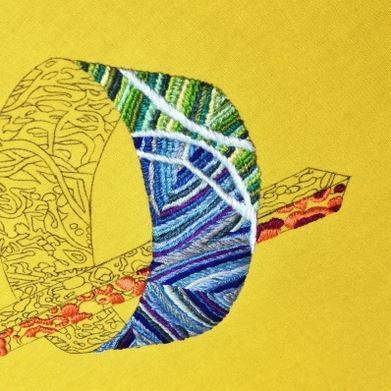 Row 1: K, YO, K in one stitch – going forward, I will use kinc2 annotation. Row 3: K1, kinc2, k1. Row 5: K2, kinc2, k2. Row 7: K3, kinc2, k3. Row 9: K4, kinc2, k4, cast on 3 stitches. Row 10: P1, k2, p11, cast on 3 stitches. Row 11: Kinc2, p2, k4, slip 2 stitches knitwise, k1, pass slipped stitch over (I will use sl2kpsso annotation), k4, p2, kinc2. Row 12: P3, k2, p9, k2, p3. Row 13: K1, kinc2, k1, p2, k3, sl2kpsso, k3, p2, k1, kinc2, k1. Row 14: P5, k2, p7, k2, p5. Row 15: K2, kinc2, k2, p2, k2, sl2kpsso, k2, p2, k2, kinc2, k2. Row 16: P7, k2, p5, k2, p7. Row 17: K3, kinc2, k3, p2, k1, sl2kpsso, k1, p2, k3, kinc2, k3. Row 18: P9, k2, p3, k2, p9. Row 19: K4, kinc2, k4, p2, sl2kpsso, p2, k4, kinc2, k4, cast on 3 stitches. Row 20: P1, k2, p11, k2, p1, k2, p11, k2, p1, cast on 3 stitches. 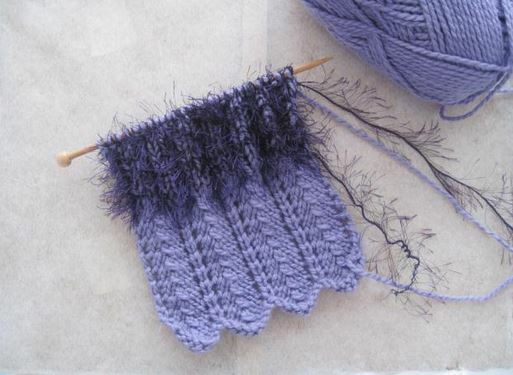 Now work on the body of the scarf and creating a three stitch edge to help the scarf lie flat. Row 31: P1, m1, k3, sl2kpsso, k4, p2, kinc2, p2, k4, sl2kpsso, k4, p2, kinc2, p2, k4, sl2kpsso, k3, m1, p1. Row 32: K1, p9, k2, p3, k2, p9, k2, p3, k2, p9, k1. Row 33: P1, m1, p1, *k3, sl2kpsso, k3, p2, k1, kinc2, k1, p2, repeat from * to last two stitches, p1, m1, p1. Row 34: K2, p7, k2, p5, k2, p7, k2, p5, k2, p7, k2. Row 35: P1, m1, p2, k2, sl2kpsso, k2, p2, k2, kinc2, k2, p2, repeat from * to last three stitches, p2, m1, p1. Row 36: K3, p5, k2, p7, k2, p5, k2, p7, k2, p5, k3. Row 37: P3, kinc2, p2, k4, sl2kpsso, k4, p2, kinc2, p2, k4, sl2kpsso, k4, p2, kinc2, p3. Row 38: K3, p3, k2, p9, k2, p3, k2, p9, k2, p3, k3. Row 39: P3, k1, kinc2, k1, p2, k3, sl2kpsso, k3, p2, k1, kinc2, k1, p2, k3, sl2kpsso, k3, p2, k1, kinc2, k1, p3. Row 40: K3, p5, k2, p7, k2, p5, k2, p7, k2, p5, k3. Row 41: P3, *k2, kinc2, k2, p2, k2, sl2kpsso, k2, p2, repeat from * to last three stitches, p3. Row 42: K3, p7, k2, p5, k2, p7, k2, p5, p7, k3. Row 43: P3, k3, kinc2, k3, p2, k1, sl2kpsso, k1, p2, k3, kinc2, k3, p2, k1, sl2kpsso, k1, p2, k3, kinc2, k3, p3. Row 44: K3, p9, k2, p3, k2, p9, k2, p3, k2, p9,k3. Row 45: P3, *k4, kinc2, k4, p2, sl2kpsso, p2, repeat from * to last 3 stitches, p3. Row 46: K3, p1, k2, p1, k2, p11, k2, p1, k2, p11, k3. 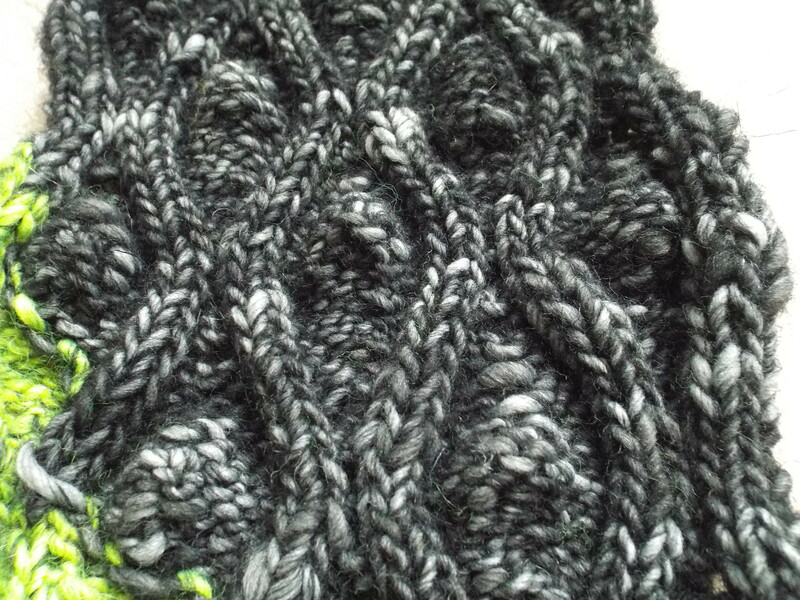 Row 47: P3, *k4, sl2kpsso, k4, p2, kinc2, p2, repeat from * to last 3 stitches, p3. Row 48: K3, *p9, k2, p3, k2, repeat from * to last 3 stitches, k3. Row 49: P3, *k3, sl2kpsso, k3, p2, k1, kinc2, k1, p2, repeat from * to last 3 stitches, p3. Row 50: K3, *p7, k2, p5, k2, repeat from * to last 3 stitches, k3. Row 51: P3, *k2, sl2kpsso, k2, p2, k2, kinc2, k2, p2, repeat from * to last 3 stitches, p3. 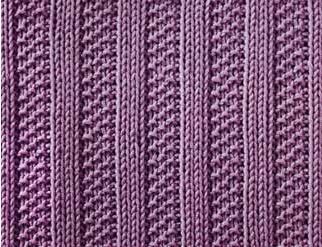 Row 52: K3, *p5, k2, p7, k2, repeat from * to last 3 stitches, k3. Row 53: P3, *k1, sl2kpsso, k2, p2, k3, kinc2, k2, p2, repeat from * to last 3 stitches, p3. Row 54: K3, *p3, k2, p9, k2, repeat from * to last 3 stitches, k3. Row 55: P3, *sl2kpsso, p2, k4, kinc2, k4, p2, repeat from * to last 3 stitches, p3. Row 56: K3, *p1, k2, p11, k2, repeat from * to last 3 stitches, k3. Now just carry on with the scarf until it’s long enough. 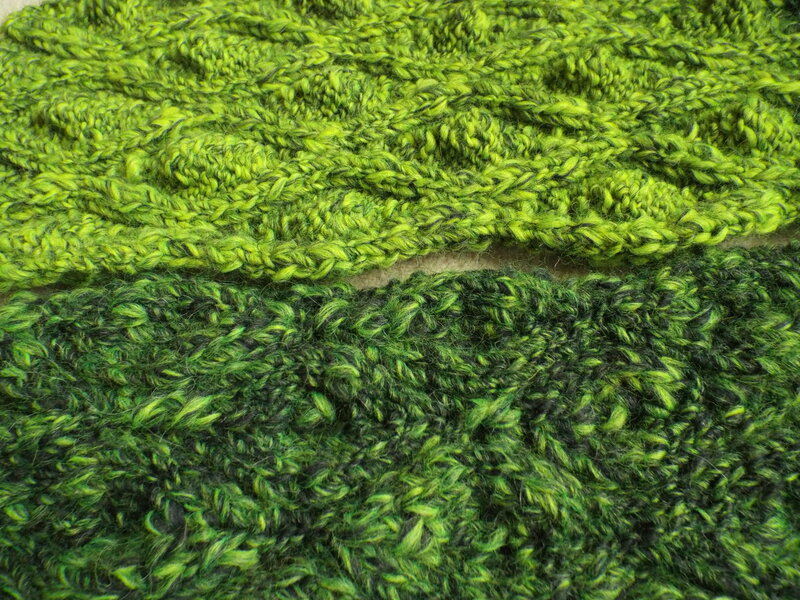 Wait until you have decreased the “leaves” at either end of the scarf to 1 stitch. 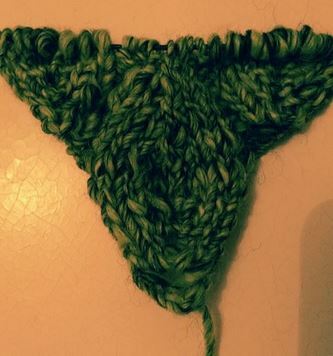 Then decrease in pattern for the three border stitches at both ends and the remaining one stitch from the leaf. Carry on with the pattern as normal for the leaf in the middle i.e. you are reversing the steps you knitted when you started the scarf. I added a tassle at either end to help weigh down the scarf in windy weather. And that’s it. 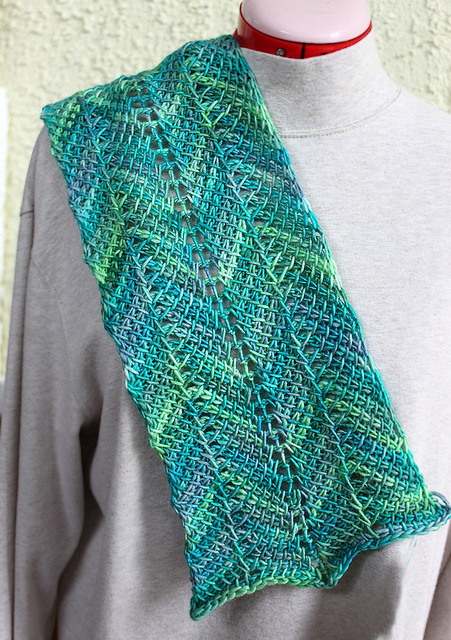 This pattern creates a lovely stretchy scarf which is also reversible. Hope you enjoy this pattern! Although I was only asked to make one ski mask, I got a bit carried away. It seems the boys are happy and now I know they’ll be warm too. 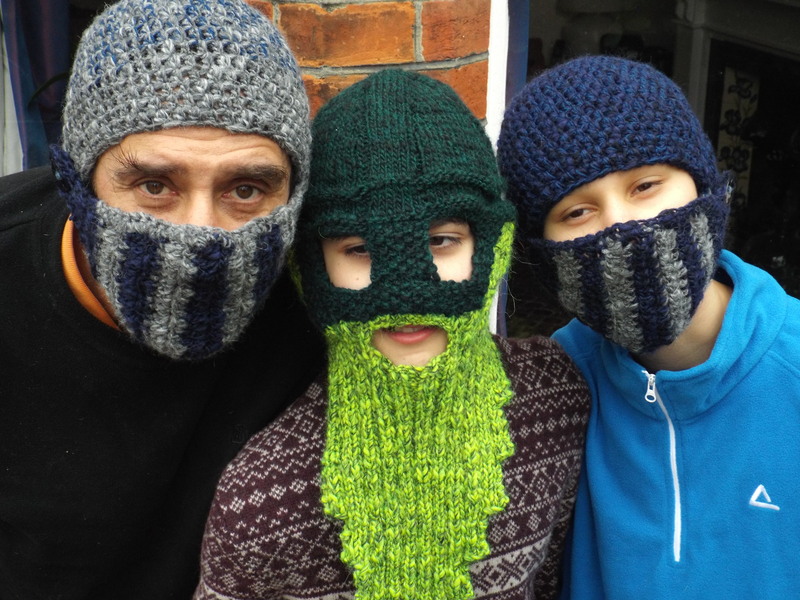 When I was knitting the Wicked Woolens Dwarven Battle mask, I decided to simplify the pattern – no bobbles, no add on beard or moustache. But the existing beard is fantastic to keep boy necks out of the wind! 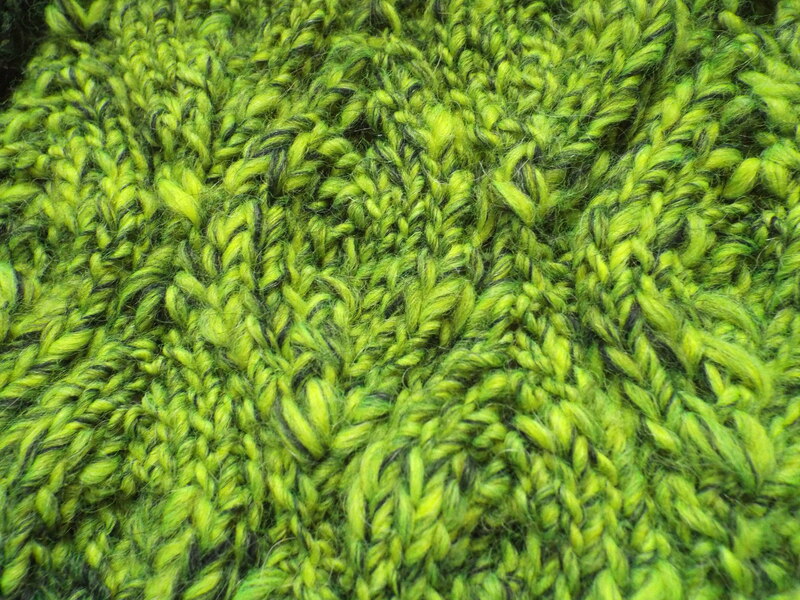 I used aran weight wool/alpaca/polyester mix yarn throughout in a dark and acid green. A number of you suggested the helmet for my husband to prevent him getting a cold head. I churned out two more woollen beanies and then added the visor later. They are a bit tricky to sew on – the angle has to be just right to make sure that the visor sits flush with the face and there is no gap which flaps around. 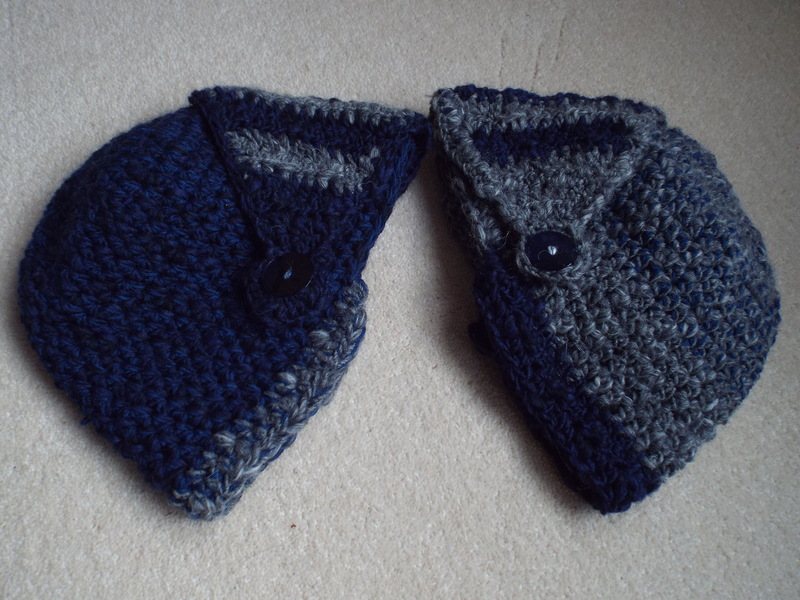 I used the same yarn in blue and grey and dived into my button stash to fix the visors on. I made sure the buttons are very flat so that the ski helmet still fits over the top without denting the wearers head! For the time being, there are no more requests so I’ve started a new project of my own. More on that later.